IEI was established as an independent business unit of IEI Integration Corp. IEI is a professional mobile operator mobile industrial products with the most advanced communication and easy to use mobile applications offers. 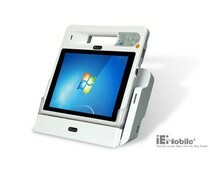 The extensive product portfolio includes IEI tablet PCs and PDAs. IEI provides for the needs of a wide range of industries such as retail, logistics, healthcare, construction, manufacturing, transportation and hospitality. By integrating design, innovative technologies and production know-how IEI mobile is exceptionally mobile devices. 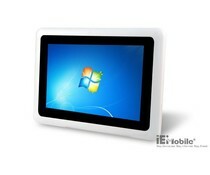 The ICEFIRE-ET is a superb and ergonomically designed enterprise tablet PC. The ICEFIRE 10.4" Mobile Clinic Assistant is a compact tablet PC integrated with advanced data aqcuisition and wireless technologies . 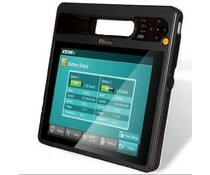 The ICECEARE-10W Mobile Sales Assistant is powered by the Intel® Atom™ N2600 processor. 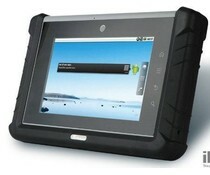 The ICECARE 7" Mobile Field Assistant is a rugged tablet PC with advanced data acquisition and wireless technologies.